As the much-delayed announcement of Minimum Support Prices has come from the government, Alliance for Sustainable and Holistic Agriculture (ASHA) said that while the MSPs are better compared to the dismal prices of the last 4 years, this is far from the historic increase demanded by the farmers of India and promised by the Prime Minister in 2014. 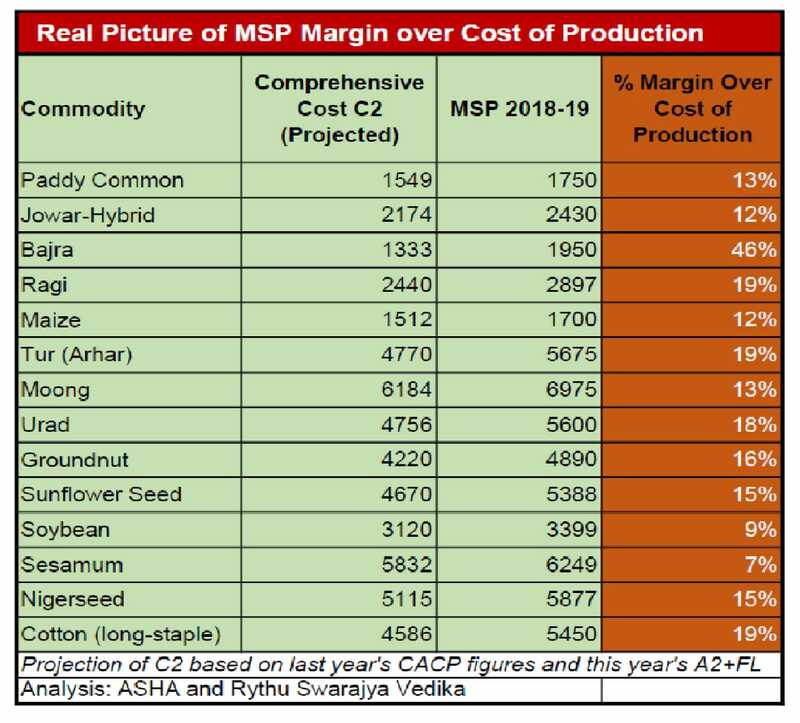 When the Comprehensive Cost of Production (C2) is taken, the MSPs of the major crops offer margins between 9 to 19% – not 50% as promised by the government. The margins declared by the government today are based on the partial production cost A2+FL. He added that farmer organizations across the nation demanded during the UPA period that MSPs should be increased to make rescue farming from the crisis. 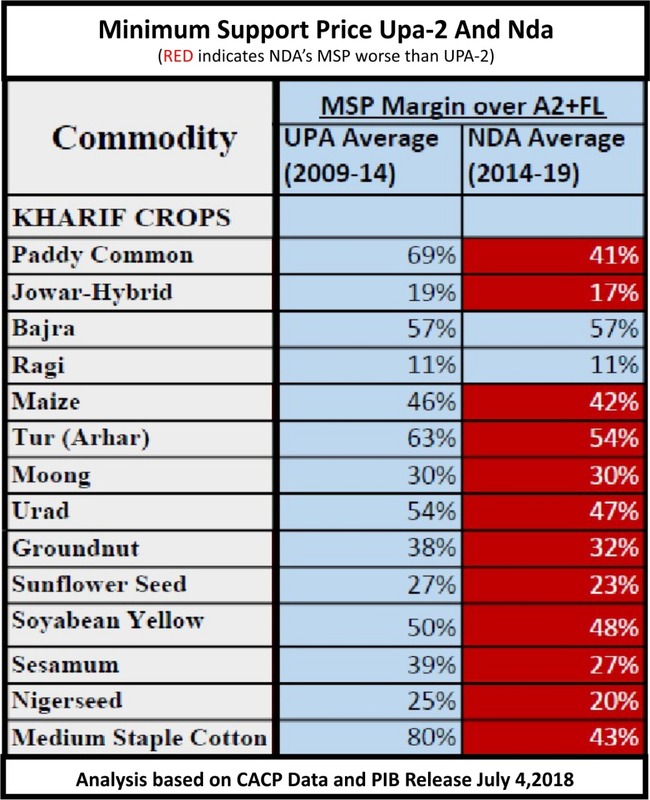 Now, when the NDA government has merely brought the MSPs to the levels before 2014, we need to ask how this is going to rescue the farmers from the economic crisis and suicides. The comparison charts were released to media by ASHA. ASHA demanded that if the government is really serious about ensuring remunerative prices to farmers, the Kisan Mukti bill for “Right to Guaranteed Remunerative MSP” should be enacted by the government immediately. This means large budget allocations for procurement and price support schemes – which are unfortunately not seen in the Budget 2018-19. Then, how can we expect these MSP announcements to deliver something meaningful to farmers, asked ASHA.